Five Star Bath Solutions Of Oklahoma City South delivers the highest quality materials and professional bathroom remodeling services, while respecting your time, space, AND budget. We provide five star quality bathroom renovations WITHOUT the five star price. Period. From bath accessories and enhancements to bathroom remodels, we deliver beautiful bathing space transformations to your home all while being Clean, On-Time & On-Budget - Guaranteed. We proudly serve Oklahoma City South, Norman, Moore, Midwest City, Choctaw, Newcastle and all surrounding areas. For a limited time GET 10% OFF! when you schedule online for your free In-Home Consultation. Professional bath remodeling in Oklahoma City South for new showers, tubs and more. We provide affordable Oklahoma City South bathroom remodeling solutions and a detailed quote for your consideration in the comfort of your home. Serving: Oklahoma City South and all surrounding areas. Five Star Bath Solutions of Oklahoma City South provides exceptional quality bathroom remodeling services offering maximum value for your money. Our goal is to offer services to our customers that result in total satisfaction. And our customers have rewarded us by showing their complete trust. Our experienced high-quality bathroom renovation solutions have made us the preferred company in Oklahoma City South. Contact us today at (405) 266-1867 for a free initial consultation regarding your bathroom renovation . Take advantage of our free, in-home consultations and estimates today. Call us at (405) 266-1867! Five Star Bath Solutions of Oklahoma City South offers the best value bathroom renovation solutions. Whether you want to build a new bathroom or renovate an existing one, you can count on us to do exceptional work for you. We carry different types of products that can meet the needs of different clients. We strive to provide quality bathroom remodeling services at an affordable cost. Our staff has extensive experience in tackling both residential and commercial projects. Not every company that you contact will be willing to go the extra length to satisfy all your requirements regarding your bathroom renovation project. Our services are unique in that we present you the opportunity to transform your bathroom space to your exact requirements. Five Star Bath Solutions of Oklahoma City South can help you make your bathroom a preferred relaxing space that represents a combination of style and functionality. Our complete range of services reflects great value for your money. If you want to have your bathroom renovated, all you have to do is to give us a call at (405) 266-1867, and we will arrange a meeting with one of our estimators. Contact Five Star Bath Solutions of Oklahoma City South for a high-quality bathroom renovation project. Our team of estimators and installers will ensure that the job is done perfectly. Take advantage of our free, free, in-home consultations and estimates today. Call us at (405) 266-1867! 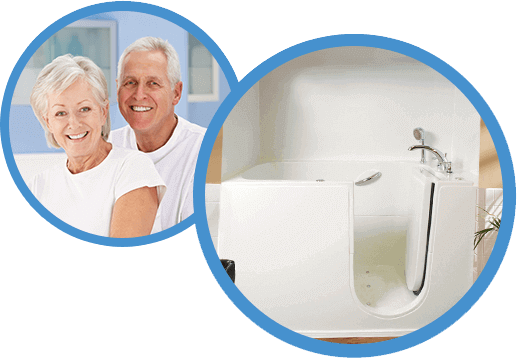 At Five Star Bath Solutions of Oklahoma City South, we believe that every customer deserves the very best. That's why we are committed to delivering the highest quality services that result in transforming a bathroom into a relaxing space. We provide a range of bathroom solutions that can suit your exact preferences and budget. We offer everything from partial to complete bathroom renovation services. We can provide you with a customized solution that meets the highest quality standards both in terms of functionality and looks. You just have to tell us your requirements and we will execute your vision to perfection. The wide range of products offered by Five Star Bath Solutions of Oklahoma City South can satisfy the needs of everyone. We have more than nine thousand bathroom products. The products come in different colors, styles, and designs. You can select a bathroom fixture from our electronic catalog that best meets your preferences. For a high-quality bathroom renovation project, call us at (405) 266-1867. Our team of estimators and installers will ensure that the job is done perfectly. Our expert bathroom renovation solutions are guaranteed to exceed your expectations in every way. Five Star Bath Solutions of Oklahoma City South utilizes only the top brand bathroom products. Moreover, we use only the best quality materials that are guaranteed to last for a long time. When you contact us, our staff will arrive at your door to discuss your requirements. Once we are on the same page regarding your bathroom renovation project, our expert installers will quickly finish the task without compromising on the quality of work. Five Star Bath Solutions of Oklahoma City South provides a bathroom solution that suits the taste of different people. Some people don't prefer taking a bath. They want to convert the tub to a shower in order to increase the available space in the bathroom. If this is the case with you, we can help you realize your wish. Our expert installers can quickly perform tub-to-shower conversions so that you don't have to wait long to use the bathroom. Five Star Bath Solutions of Oklahoma City South can provide you with high-quality bath wall systems. The wall systems are made of the finest quality materials that last for a long time. We can install the products in as little as one day. The best thing about our wall systems is that they are easy to clean. You don't have to spend hours cleaning them. The enclosures look similar to natural stone. Also, they are fire resistant and guaranteed to last for a long time. Whether you want a partial or complete renovation of your bathroom, Five Star Bath Solutions of Oklahoma City South can help you transform your dream into a reality. You can count on us to enhance the aesthetic appeal and value of your bathroom. We offer a large range of bathroom remodeling services. Our staff will offer you complete advice and guidance regarding the bathroom remodeling project. Five Star Bath Solutions of Oklahoma City South provides different kinds of bathroom renovation services. Our experienced and customer-friendly staff will cater to your wishes from the beginning until the end of the project. Contact us today at (405) 266-1867 to get your bathroom renovation project started. Serving: We serve Oklahoma City South, Norman, Moore, Midwest City, Choctaw, and Newcastle and all surrounding areas. Having a hard time cleaning your shower space? Five Star Bath Solutions Of Oklahoma City South materials make your shower easy to clean and maintain, in addition to protecting your walls from water.